_dewPoint is a sound installation concepted & developed by me nd Tijs Ham for the Gaudeamus Muziekweek 2012. 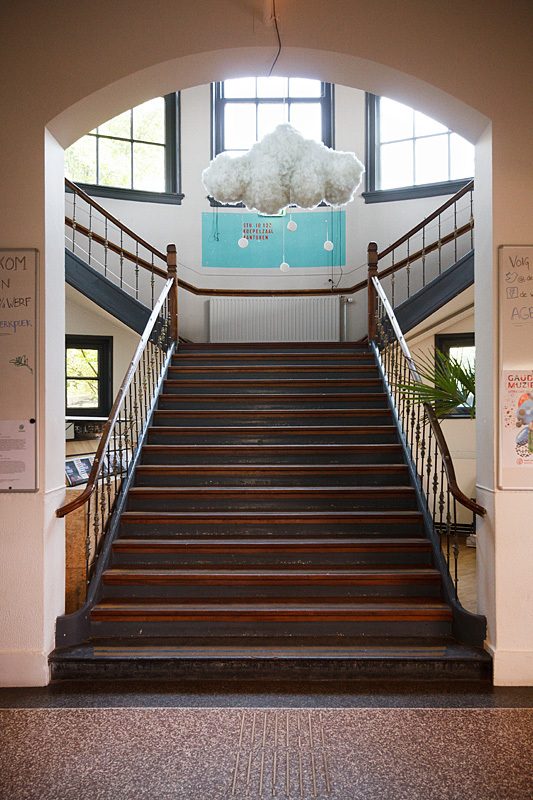 Upon entering the space, the audience is greeted by a cloud that is hanging mid air, above the grand staircase. Just like clouds collecting moisture from its surrounding air, the installation gathers sounds from its current environment. When it reaches to a point it no longer can contain, sounds come raining down on the visitors. These recordings are processed into a composition that adjusts itself according to the intensity of it’s surrounding noise. The resulting soundscape changes throughout the duration of the festival.